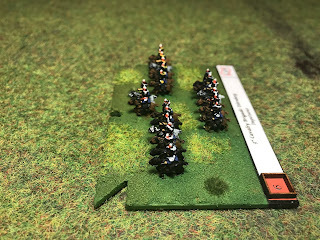 At Fiasco this year I picked up an order of British cavalry from Baccus, this was an effort to complete the Anglo-Allied units for the 100 Days Campaign I have been working on for a few years now. 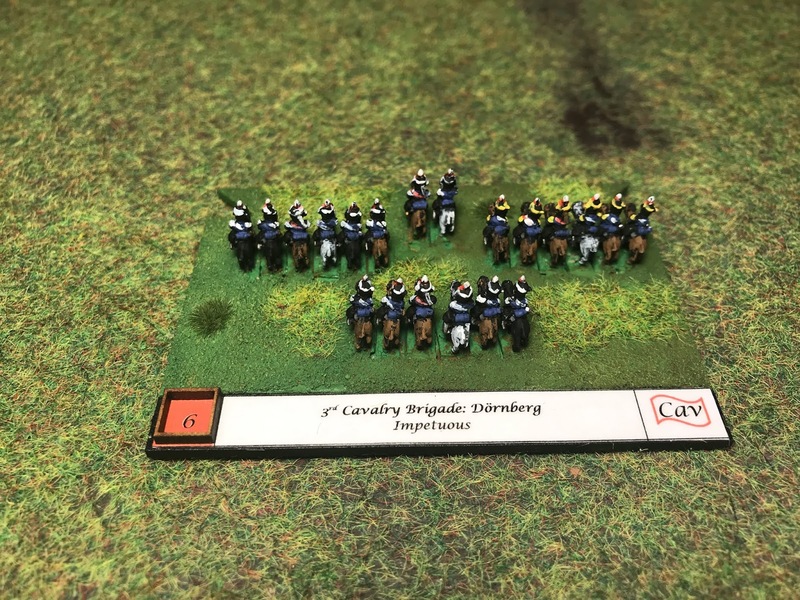 I only have the Cavalry Corps left to complete and this last batch began with the 3rd Brigade, commanded by Major-Genral Sir William Donberg. The unit was predominately German speaking comprise of the 1st and 2nd Light Dragoons of the King's German Legion along with the British 23rd Light Dragoons. Donberg was wounded during Waterloo, along with the commanders of the 23rd (Major M J Cutcliffe) and 1st KGL (Lt-Colonel J Bülow). 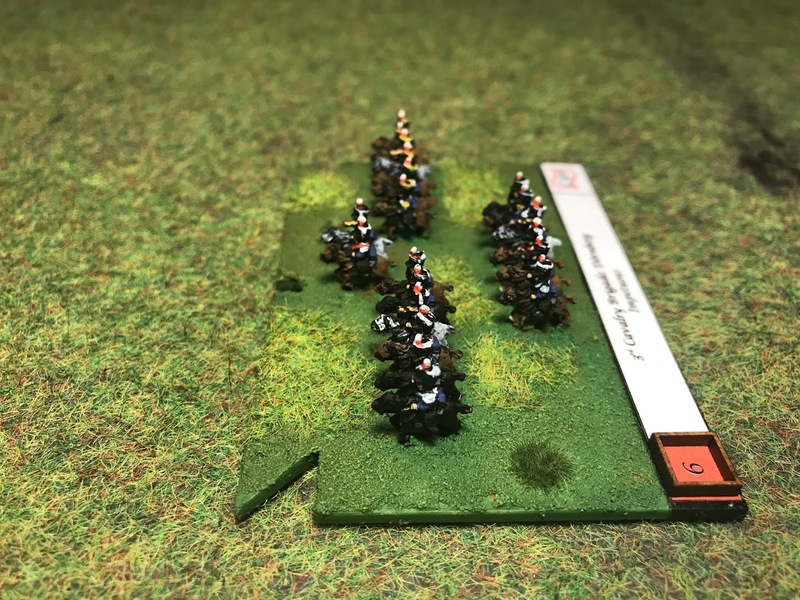 Cutcliffe was replacing the commander of the 23rd, Lord Portalington, who missed the start of the battle, returning late from Brussels. Portalington never recovered from the disgrace and died in penury. The 3rd were deployed behind the Allied right centre and helped in the counter attacking of the French cavalry charges. The brigade was also involved in the general Allied advance that pushed the French back. 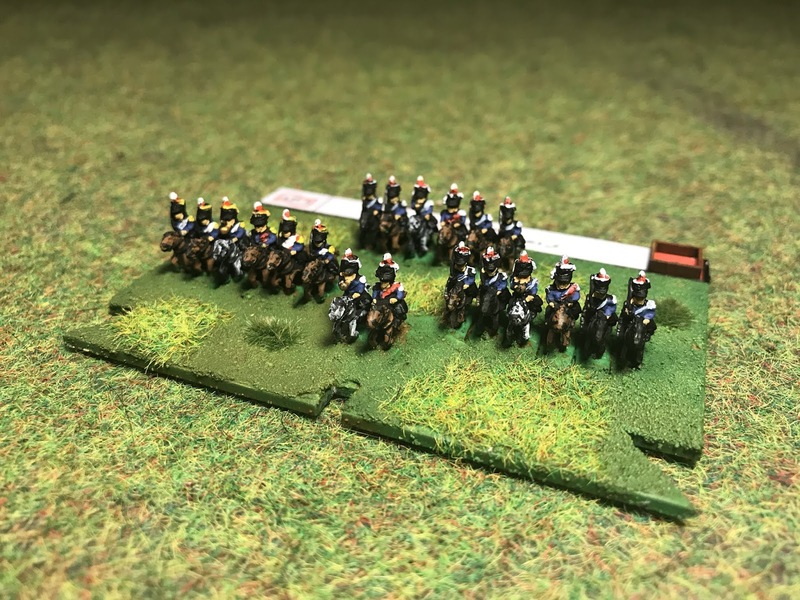 They suffered only 2% casualties, the lowest for any British cavalry unit. Cheers Phil, there’s more to come! Thanks Jozi! I’m sorry they’re not First World War! Thanks Tamsin! Coming from you that’s a huge compliment!